This Place of Worship was founded in 1959, and we understand it is still open. This building was first opened as a Quaker Mission Hall in 1880. It appears from the outside to be quite small, but in 1881, it was capable of accomodating at least 150, when the Quaker congregation is said to have numbered 60 for morning, and 150 for evening service. In the same year a congregation of 80 Christadelphians were recorded in Goddard's assembly rooms. Four years later, in 1885 they were meeting in a hall in Aldate Square, but by 1889 they had moved to a hall in King Street. The latter was apparently still in use in 1923, when Kelly's Directory of that year records a Christadelphian Hall, in King Street. In the early 1940s however they had moved to a room in Northgate Mansions, in lower Northgate Street. 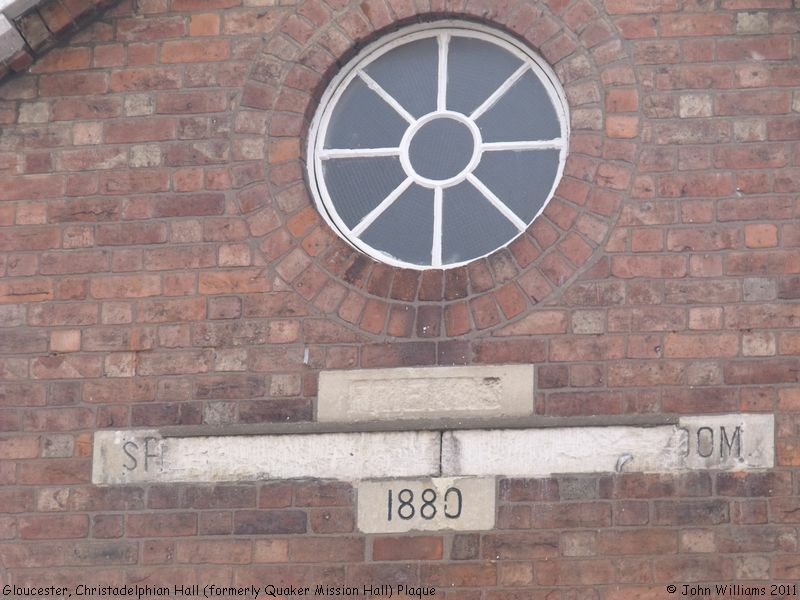 The present Hall in Sherborne Street was purchased from the Quakers in 1959. 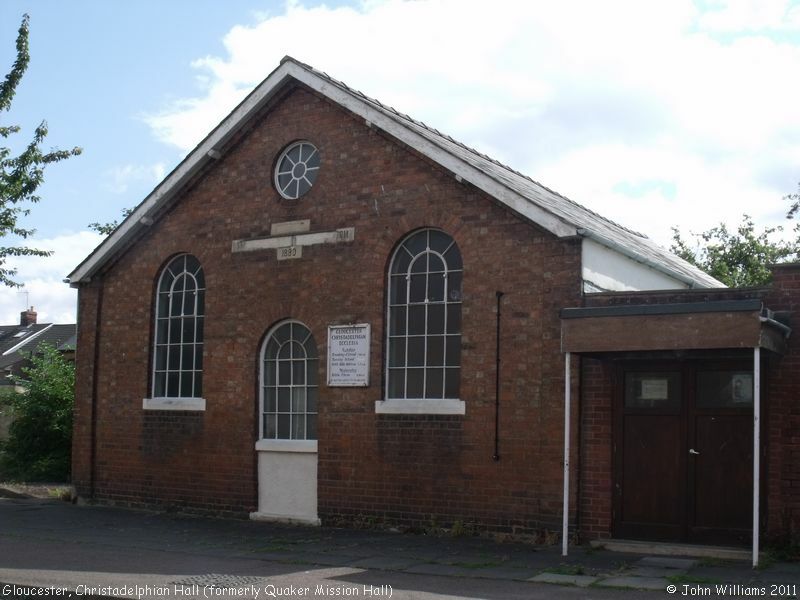 Christadelphian Hall, Gloucester shown on a Google Map. Information last updated on 30 Dec 2014 at 15:07. 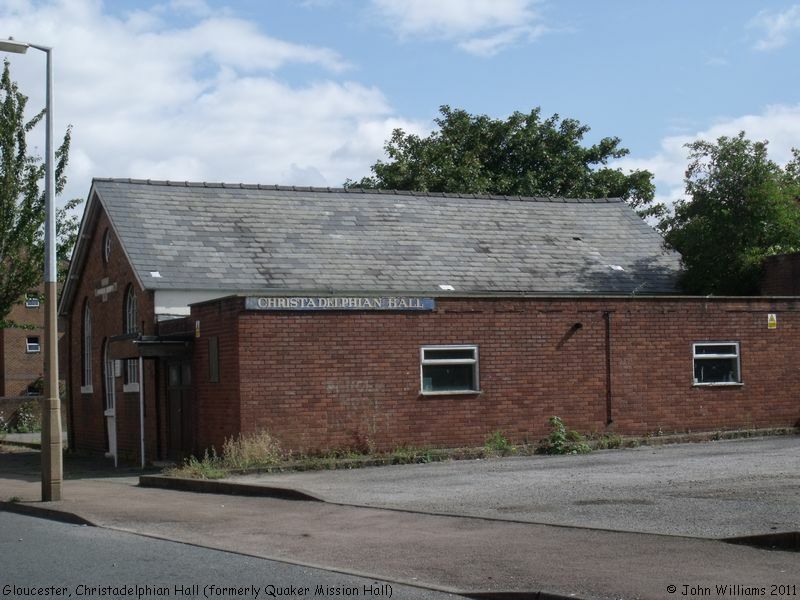 Please also remember that whilst the above account may suggest that Christadelphian Hall remains open and accessible, this may not remain so. This Report was created 29 Mar 2019 - 08:12:51 GMT from information held in the Gloucestershire section of the Places of Worship Database. This was last updated on 7 Feb 2019 at 07:45.